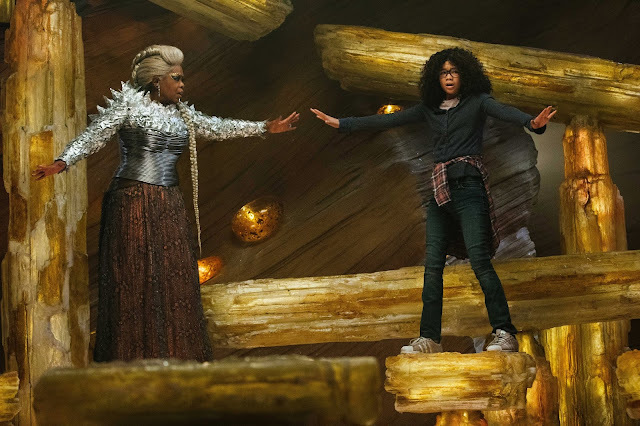 Just in time for summer break, Disney’s “A Wrinkle in Time,” from acclaimed director Ava DuVernay, comes home May 29 on Digital HD, 4K Ultra HD and Movies Anywhere and June 5 on Blu-ray™, 4K Ultra HD™, DVD and On-Demand. The stunning story of an ordinary girl’s extraordinary adventure through time and space offers exhilarating entertainment and positive messages for the whole family—encouraging self-confidence, inclusion and pushing imagination to the next level. · A Journey Through Time – Take an up-close look at the making of this magnificent movie with Director Ava DuVernay, Oprah Winfrey, and the cast and crew. Books that are made into movies can be very tricky, since we have a picture in our mind of the characters and places that a film doesn't always get "right." I read the book when I was probably in fourth grade, but I don't remember all the details. So I can't really compare the book to the film. 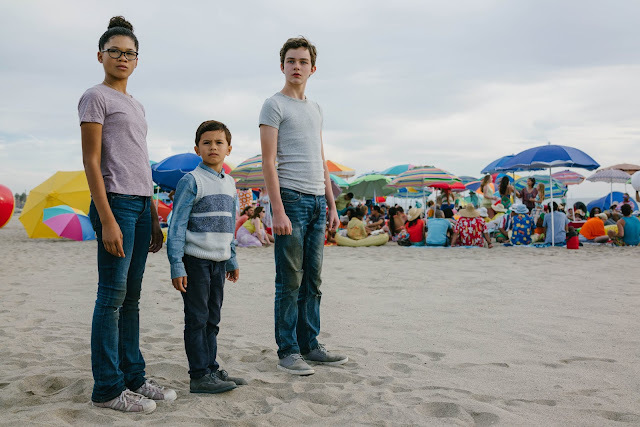 Disney brings its own spin to A Wrinkle In Time. The visuals are colorful and draw you in. The plot line seems pretty basic: a girl named Meg, along with her brother and a friend from school, go on a journey to find Meg's astrophysicist dad who disappeared. Along that journey, Meg is helped by three celestial guides who help her begin to see herself the way they see her, and find her strengths. I enjoyed the three celestial guides played by Oprah Winfrey, Reece Witherspoon and Mindy Kaling. They were quirky and Reece's character Mrs. Whatsit made me laugh. Somewhere in the plot line I got lost a bit. There were some things that happened that didn't seem to make any sense, and probably had some meaning, but I just didn't get what that was. Perhaps there are some things that were explained a bit better in the book that the movie just didn't have time for in its time constraints. The themes in the film are pretty clear, however. I don't want to give any thing away, but it deals with bullying, self-discovery, tween crushes, love, family bonds, and courage. The film will spark good conversations with your kids, and hopefully an interest in reading the book. I'd recommend this for ages 10+ to really grasp the message and keep kids' attention. I am looking forward to reading the book with my daughter in a few years! 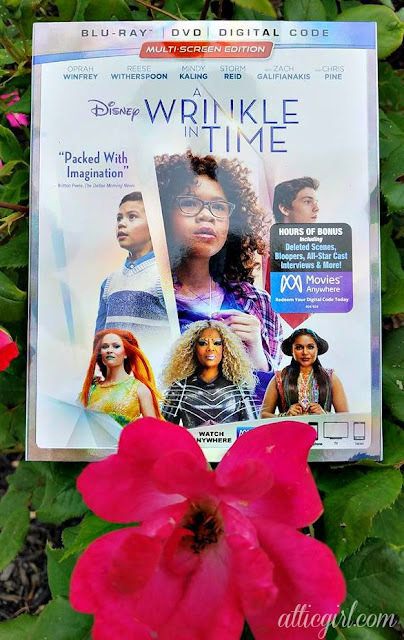 1 comment on "Disney's A Wrinkle In Time Comes to Blu-ray Plus Activity Sheets #WrinkleInTime #Sponsored #DisneySMMC"
This sounds like a marvelous movie that should be viewed by young and old alike. I may go and try to find the book that this movie was based upon--it sounds like a winner as well!